That’s the real title of my piece in Citylab today. Read it here. 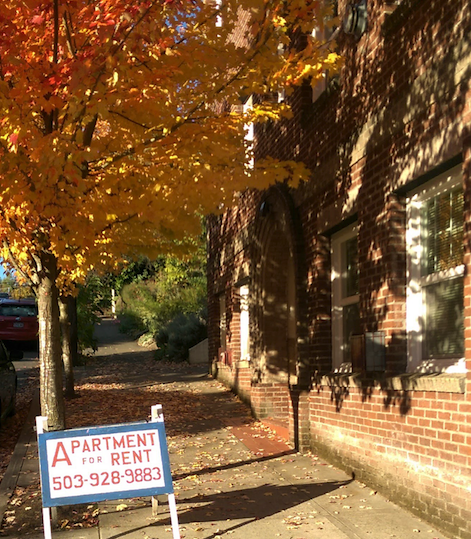 Joe Cortright spreads the good news that “For Rent” signs are proliferating across Portland, signaling an easing of the affordable housing crisis. And he points out a critical thing that many activists miss. That luxury housing that affordability advocates decry does improve affordability for everyone. Why mention this on a transit blog? Because the mistake activists make here is the same one that many transit advocates make, which is to think of wealth as a set of boxes, called classes, that never intermix or affect each other. It’s the same mistake that underlies the false dichotomy of “choice” and “dependent” riders in transit planning, the notion that you need separate services for each type of rider because they are absolutely different kinds of people who will never mix. In fact, wealth is a spectrum. People are everywhere along it. Admittedly, this is less true that it once was, but it’s still true. So although people certainly differ in wealth and thus in the options they have, they are still part of the same diverse market — for housing, as for transit. When advocating for a fairer and more equal economic world, don’t lose track of this. Don’t become so focused on us-them differences that you miss the solution that improves things for everyone, including you. Toronto references, but nothing that will baffle a reader from elsewhere. It’s here. Hope you enjoy. When the physicist Richard Feynman found himself listening to a scientific talk in a field he didn't know well, he had a favorite question to ask the speaker: Can you give me a really simple example of what you're talking about? If the speaker couldn't oblige, Feynman got suspicious, and rightly so. Did this person really have something to say, or was this just fancy technical talk parading as scientific wisdom? … Simplification is not just for beginners." Intuition Pumps is best book on philosophy that I've read in decades, and also an fun and engaging read. Engineering makes no sense without science, and science makes no sense without a philosophy of science. Dennett's great contribution is what I'd call a practical skepticism. When I was in college, philosophy was receding into arid debates about pure logic. (One of my advisors wrote papers with titles like "Is 'Not' Logical?") I'd call that absolute skepticism, and while it's abstractly interesting in the way that chess is, it never emerges from its logical culdesacs to address any of the practical questions about how human beings, given what we are, should go about deciding what to believe. Dennett's work starts with a different standard embodied in his trademark adverb sorta. Ideas don't have to be absolutely or abstractly or logically true in all frames of reference; they can be sorta true, which means valid enough to be reliable and useful, because what humans most urgently need are reliable and useful ideas. Newton's physics is sorta true, and it's sorta correct to talk about trees solving problems through natural selection even though we know they don't have brains. Free will is a philosophical problem in the world of abstract ideas, but Dennett argues it's not a real problem, because it doesn't matter to the actual decisions that we make in the context of what we sorta know. Sorta turns out to be a surprisingly rigorous term for getting us out of logical holes and out into the space where actual problems need solving. This, and the practical skepticism it underpins, is worth the price and pleasure of this excellent book.